B is for The Brick Box, the producers of 'Unorthobox' at the Wandsworth Arts Festival, 2013. Image courtesy Kelise Franclemont. Wandsworth Arts Festival and Fringe and the Festival Hub runs from 3 – 19 May, culminating in The Shimmy on Sunday 19th of May, a mini-festival of performance and art. “With the support of Arts Council England and Wandsworth Council, the Arts Team is delighted to present a richly imaginative programme of strategic new commissions which celebrate communities and creativity in the borough.” – from Wandsworth Arts Festival website. 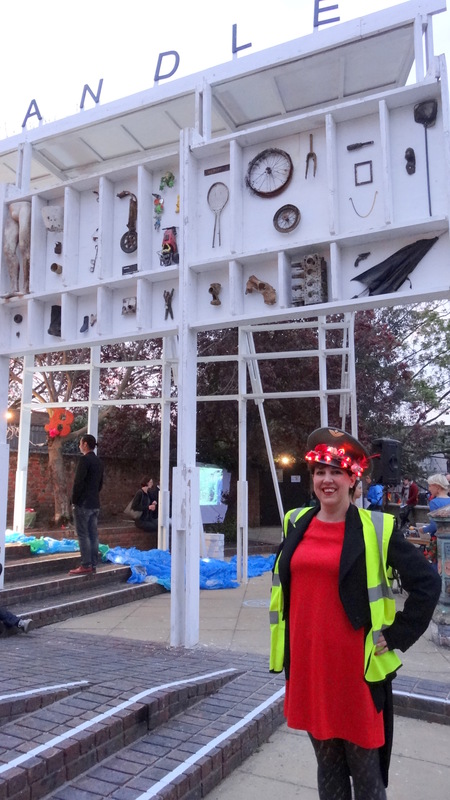 ‘Cabinet of Curiosities’ showing items taken from the Wandle River during their monthly Community Clean-up events. Image courtesy Kelise Franclemont. For the first time at the Wandsworth Arts Festival, Wandsworth Arts Team have sponsored a Festival Hub. 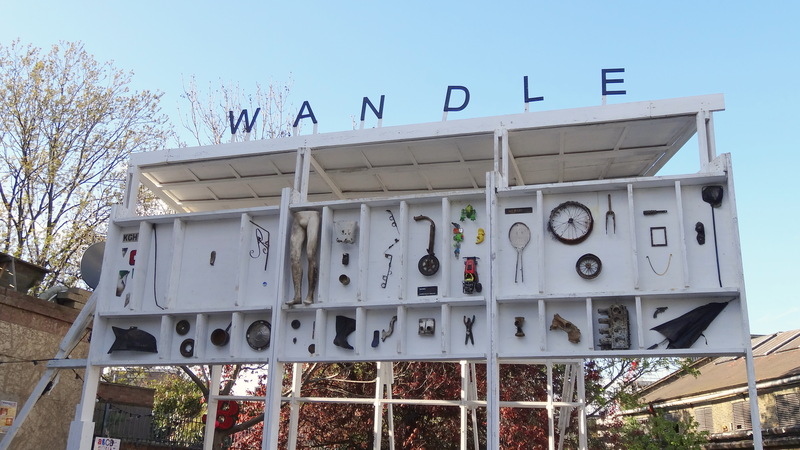 The Hub is situated in Wandle Triangle featuring a “Cabinet of Curiosities” filled with items that had previously been tossed into the Wandle River. The Festival Hub provides an information centre, a day-time gathering place and a night-time events throughout the Festival. Boris and Boris performing on the bank of the Wandle River, at Unorthobox, 4th May 2013. Image courtesy Kelise Franclemont. 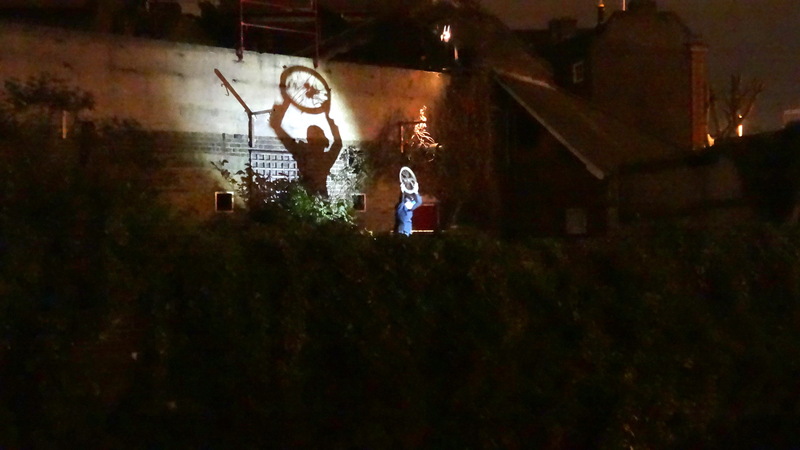 On Saturday, 4th May 2013, Unorthobox hosted performance and installation artists, Boris and Boris (Yael Karavan and Bruno Humberto) who used a “…dazzling mix of physical theatre, installations, performances and projections to create a truly magical experience. They will be popping up in some very unexpected places, bringing their mix of physical theatre, tom-foolery and imaginative journeying” – from The Brick Box website. In a nearby mini outdoor theatre, Passenger Films presented a series of short films and animations related to the Wandle River. 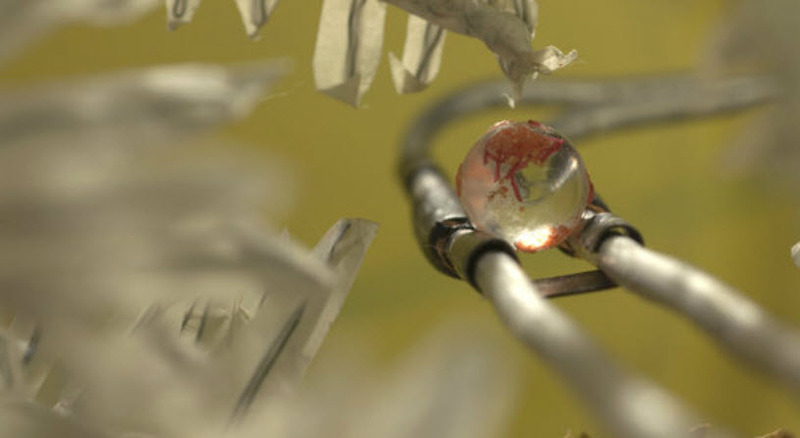 One of my favourite videos was Waterway (2011) by artist Britta Johnson, a stop-animation film which showed drops of water being cleaned as they move through waterways and the organisms that live there. And if you’re interested in all the critters that live in our water, click the link to check out a short film from Daniel Stoupin of Microworlds Photography, on Vimeo entitled, Life we don’t see. 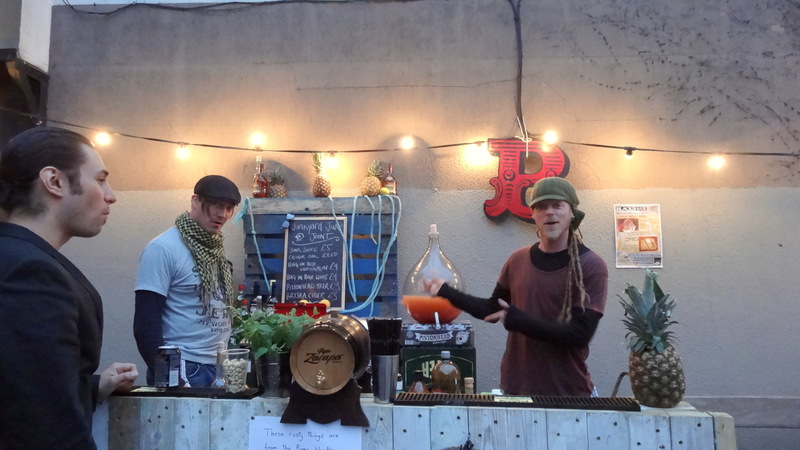 The guys from Platterform serving up Junkyard Juice at the Unorthobox bar. Image courtesy Kelise Franclemont. Lovely libations were provided by Platterform, specialists in providing “…surprising and exciting drinking and dining experiences, collaborating with some of London’s most exciting start up and established food and drink businesses and talked about chefs, sommeliers and drink specialists.” – from the Platterform website. Be sure to check for updates on www.wandsworthartsfestival.com for information about what’s going on, or drop by the Festival Hub in Wandle Triangle to pick up festival event flyers. What’s On by The Brick Box, includes info about Unorthobox 2013, Wandsworth Arts Festival and upcoming events. More about Wandsworth Arts Festival on the official website, including maps, schedule of events and other information. Read more about Platterform’s drinks and catering specialist services. Event details: Wandsworth Arts Festival and Fringe runs from 3 – 19 May, culminating in The Shimmy on Sunday 19th of May, a mini-festival of performance and art. The festival hub is located across from Wandsworth Southside Shopping Center in Wandle Triangle, Wandsworth High Street, London, SW18 4LB alongside the Wandle River adjacent to the old Ram’s Brewery.